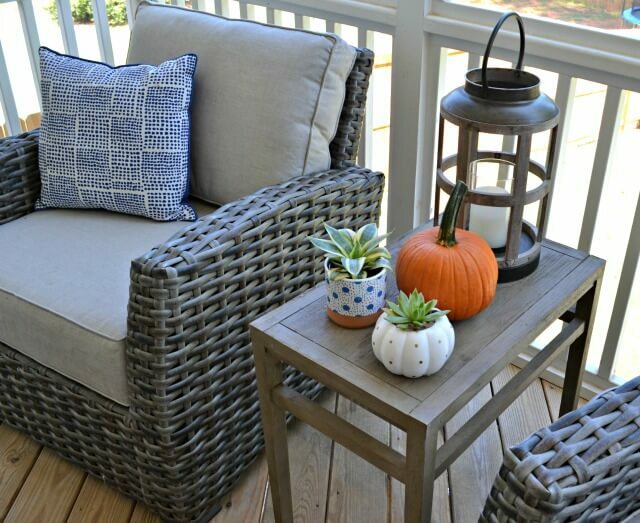 Usher in the changing season and cooler temperature with a fall-ready porch or patio makeover. 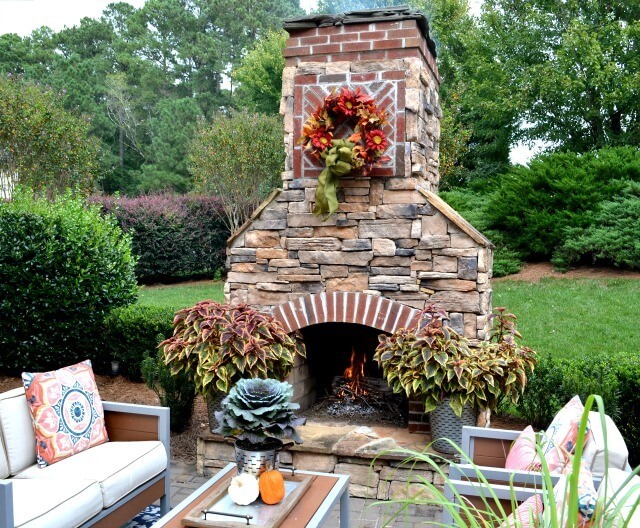 As the humid days of summer give way to crisp fall evenings the time for outdoor entertaining makes a triumphant return. 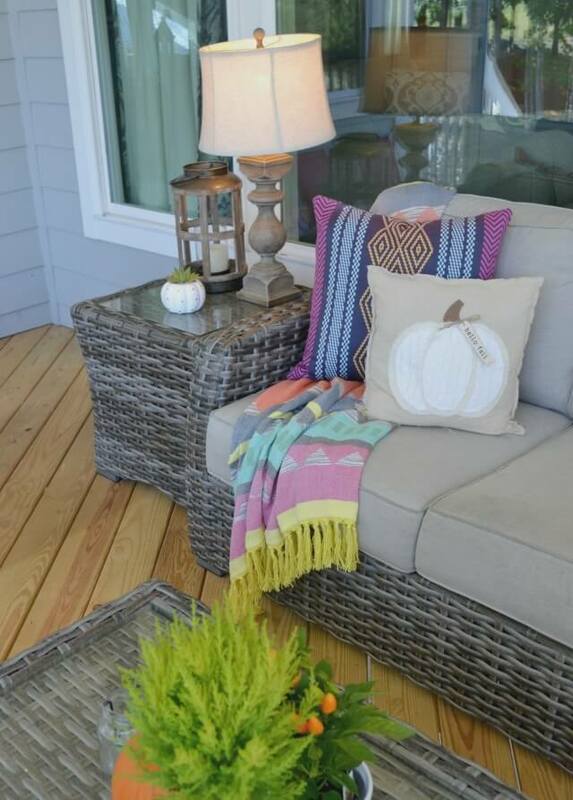 Whether you prefer the saturated hues of autumn or more neutral shades mixed with contrasting textures, a few perfectly placed fall staples can add a big impact to your outdoor spaces. 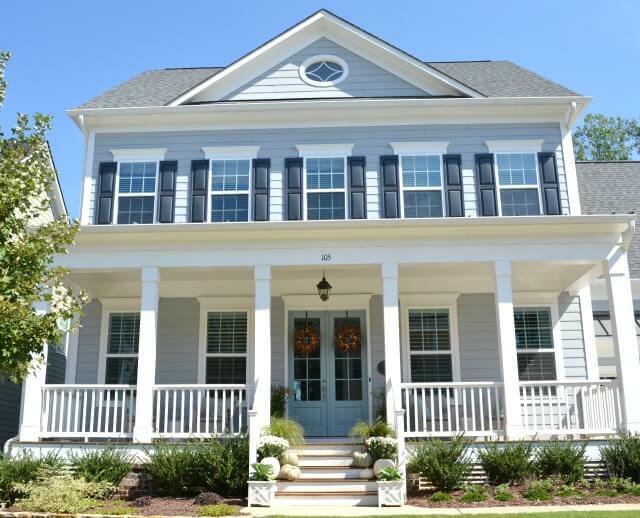 Rusty orange mums paired with deep pinks and purples create an explosion of color against this brick home. 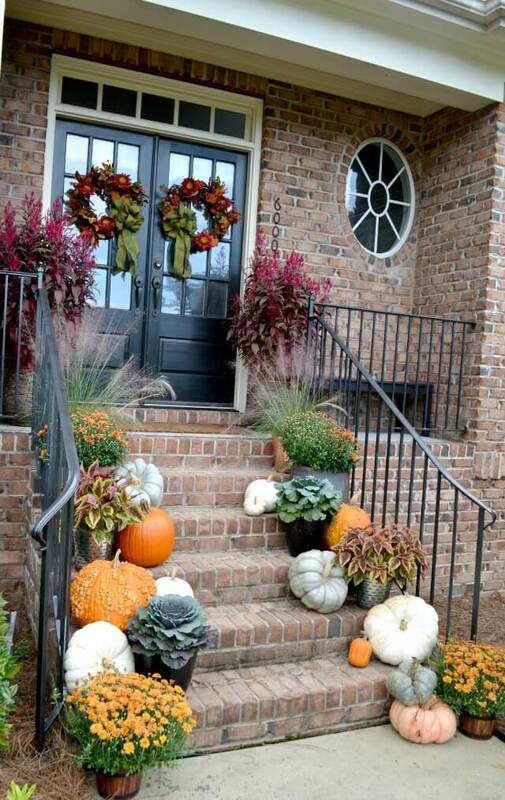 Mixing heirloom pumpkins, rustic containers and the contrasting textures of Muhly Grass, Coleus and Chrysanthemums add instant impact to each step. 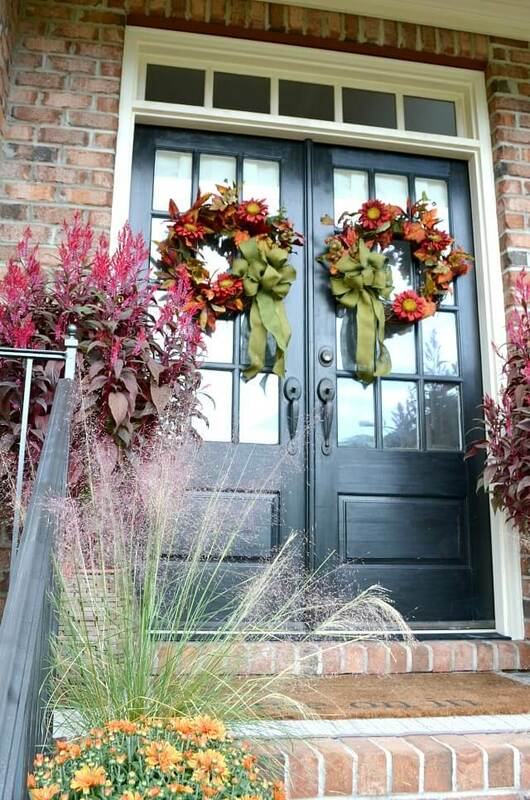 Fairview Garden Center custom designed fall wreaths and colorful Celosia flank the doors and create an inviting entrance. On the back patio the scene is set for a crisp evening spent by the fire. 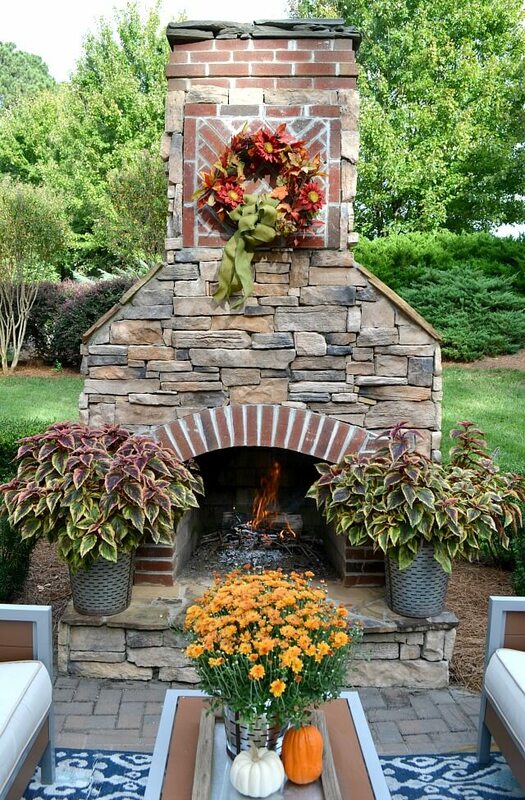 A coordinating wreath hangs on the fireplace while colorful Coleus surround the fire. 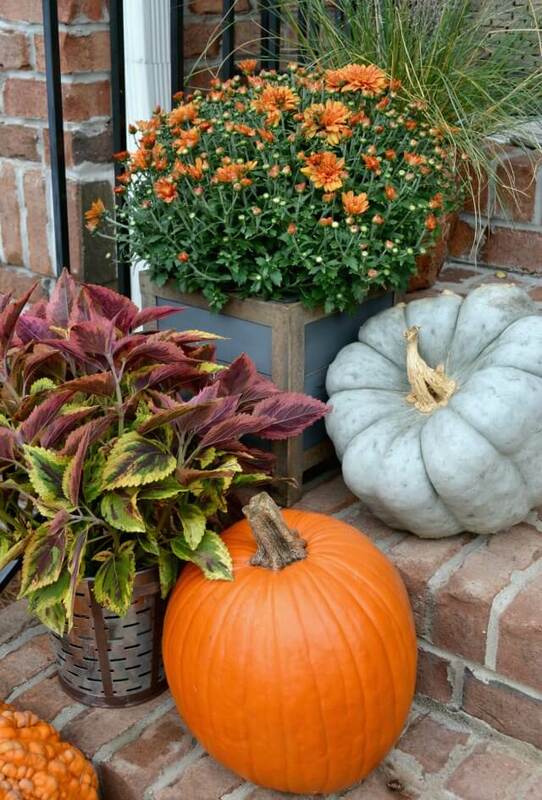 An orange Chrysanthemum and small gourds make an easy and colorful centerpiece. 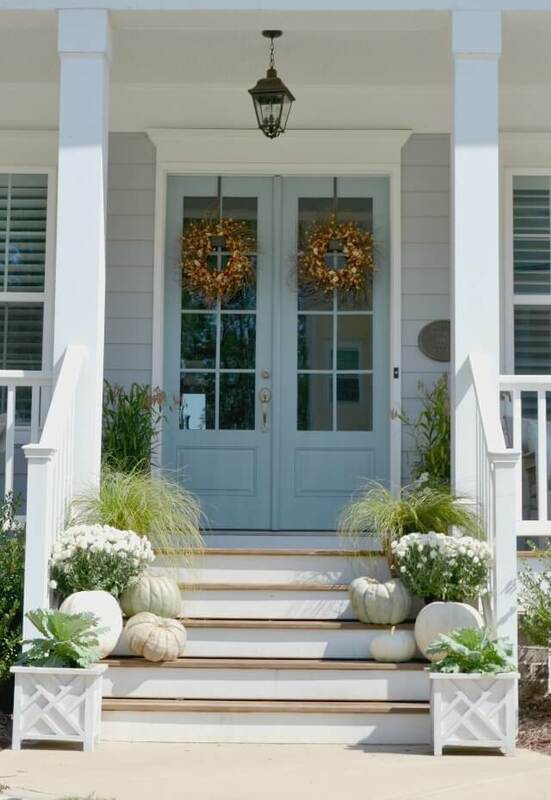 For a farmhouse inspired front entrance choose a monochromatic color scheme and mix lots of contrasting textures. 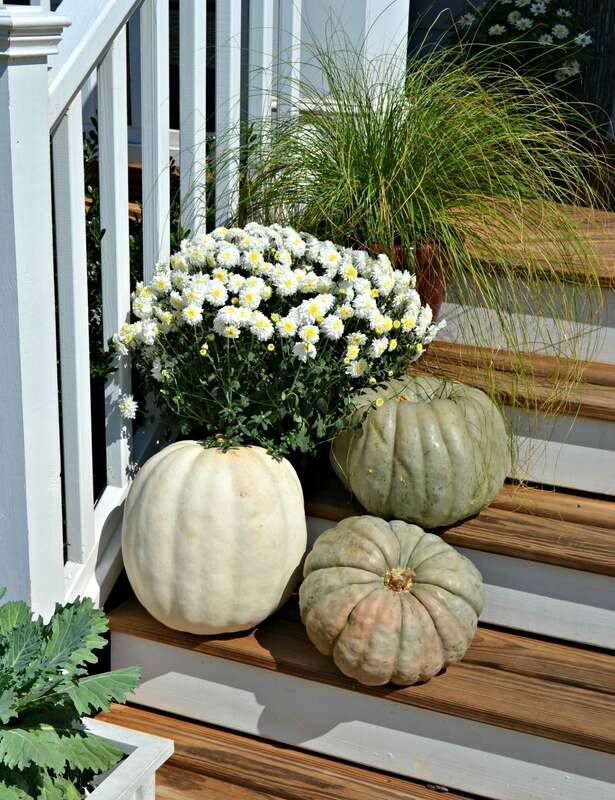 Heirloom green and white pumpkins paired with plants like white mums, ornamental cabbage and Carex set the scene on the steps. 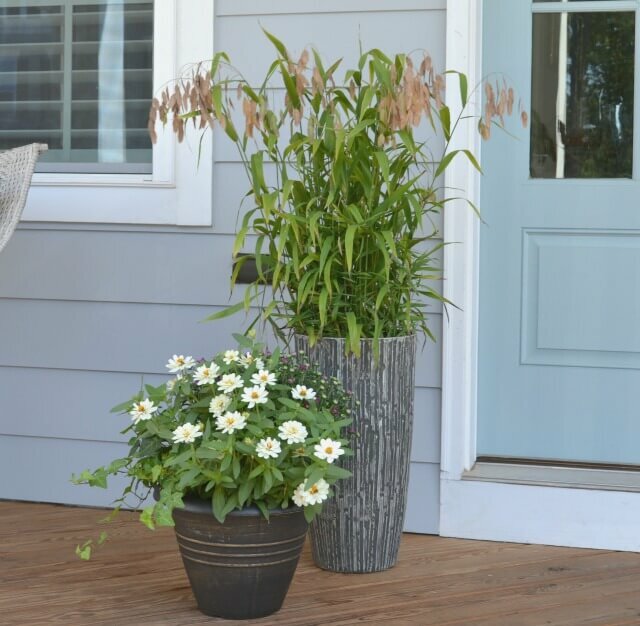 A tall container filled with Sea Oats sits behind a custom-designed container garden filled with Zinnias, mums and ivy. Fairview Garden Center wreaths filled with artificial berries contrast beautifully with the blue-gray front doors. 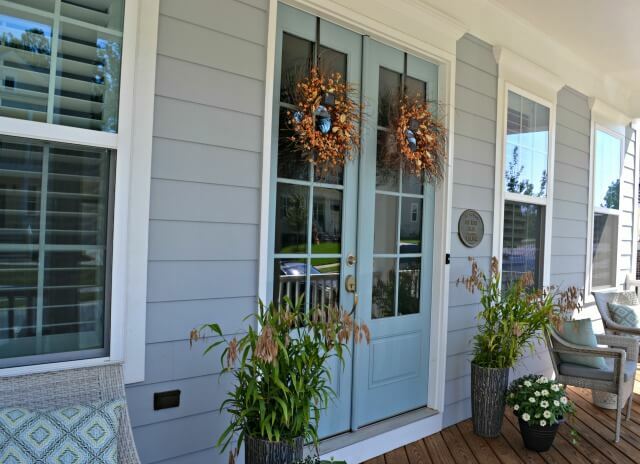 A trip through the home brings us to the peaceful screened porch. 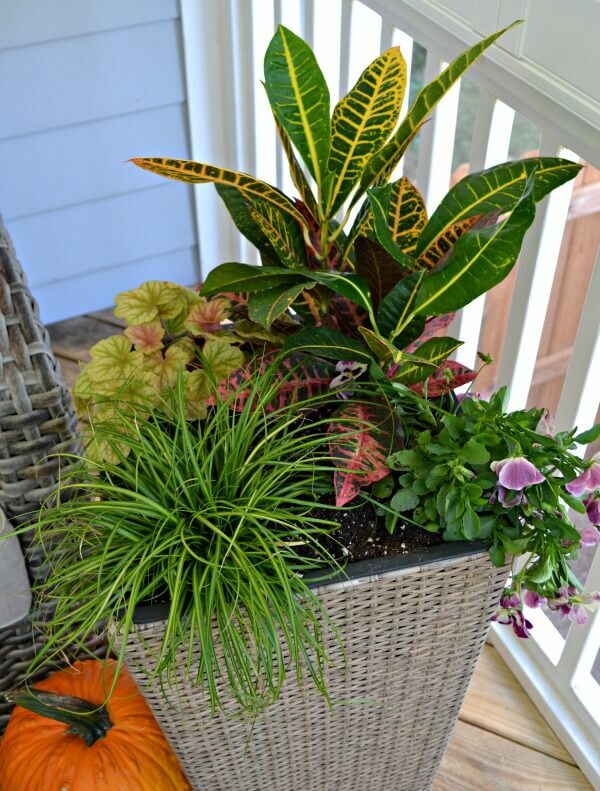 A custom designed fall container garden filled with Coleus, Acorus, Cool Wave Pansies and Coral Bells adds a splash of color to a dark corner. 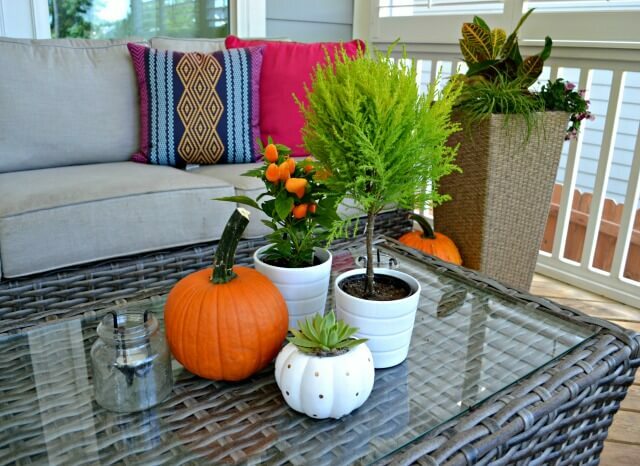 Whimsical pots filled with succulents, lanterns, lamps and pumpkin decor give a warm fall glow to the back porch. 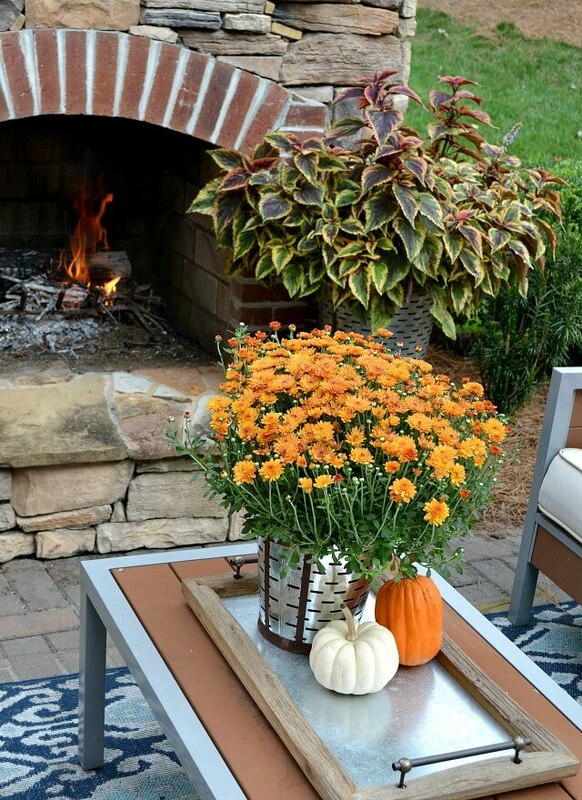 Creating a welcoming space for fall entertaining can be simple and fun. 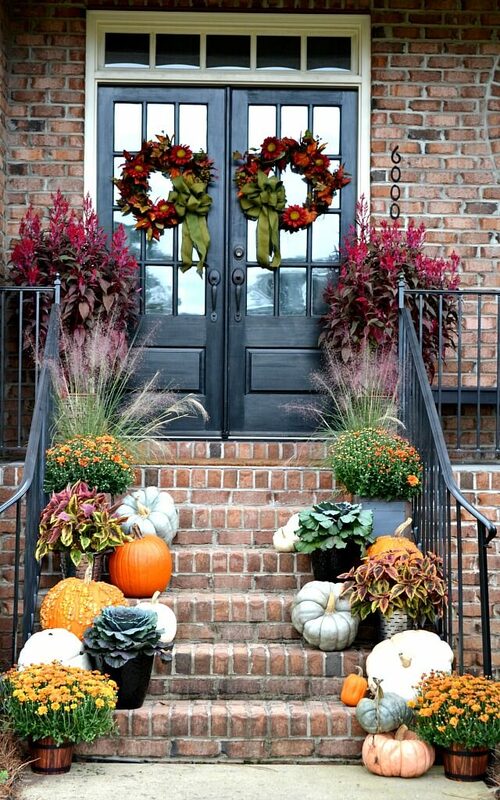 Let the experts at Fairview Garden Center help you put together an autumn entrance or festive patio that will make you the envy of the neighborhood.